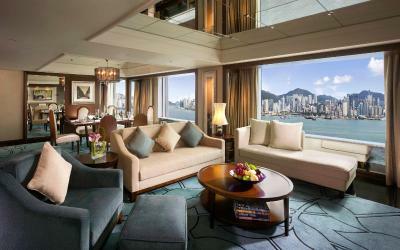 Lock in a great price for InterContinental Grand Stanford Hong Kong – rated 8.6 by recent guests! the location was great. A little removed from the center of TST, but quieter. Nice walk along the water to get into the heart of TST. The staff were nice and friendly. The room was a nice size (we had a suite). The bed was quite comfortable. Great location. 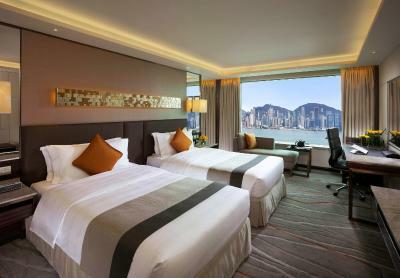 Room quite large for Hong Kong, well equipped with everything you need. Staff helpful and friendly. We had an excellent choice of our brekie in the executive lounge. The seating arrangement in the lounge was very comfortable and non crowded despite every table was occupied. Staff is friendly and offering good service. Also to mention is the fabulous and nice view to HK Island. 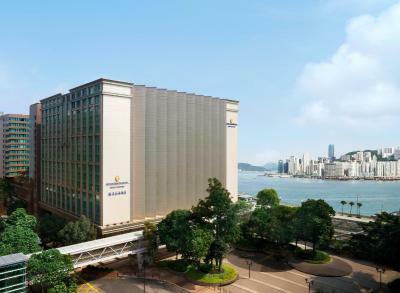 Location of this hotel is very convenient for sightseeing - a few minutes walking from MTR and just a few steps away from HK Science and History Museums. Large rooms, great breakfast and a great heated swimming pool on the roof top (all year long). Although it was CNY and hotel was fully booked we never had to queue neither at breakfast nor at the reception. Definitely would come back! Staff were very helpful. The location was good, about five min walk to the metro station. And there were many restaurants and shops nearby. The staff were very well trained and were a big help to us. The restaurants were some of the best that we encountered in HK. The room was comfortable. The hotel is located very close to the UK Museums of History and Science.. I would definitely stay there again. The bed and pillows were comfortable. I also liked the Handy phone facility. Room size was decent. Breakfast also had quite good selection between western and Asian cuisines that includes oriental and Indian food. Good location. Next to the harbor. Room is relatively larger than HK standard for room. Staffs are friendly and helpful. Just a walking distance to shopping areas with lots of shops and restaurants. 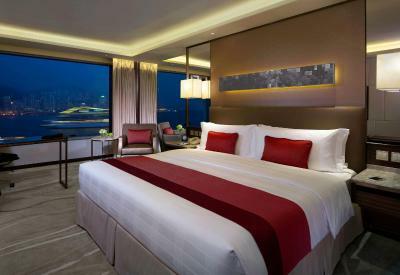 InterContinental Grand Stanford Hong Kong This rating is a reflection of how the property compares to the industry standard when it comes to price, facilities and services available. It's based on a self-evaluation by the property. Use this rating to help choose your stay! One of our top picks in Hong Kong.Occupying a prime waterfront location overlooking Victoria Harbor, InterContinental Hong Kong features fitness facilities. 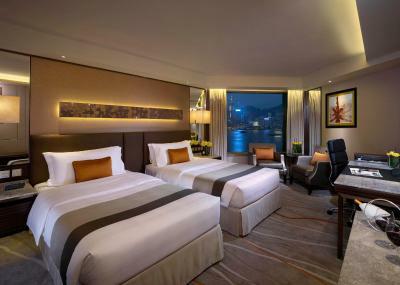 It offers elegant rooms with panoramic city skyline views and classic furnishings. Boasting stunning harbor or city views from over-sized windows, spacious rooms at Grand Stanford are fitted with cable channels and a safe. 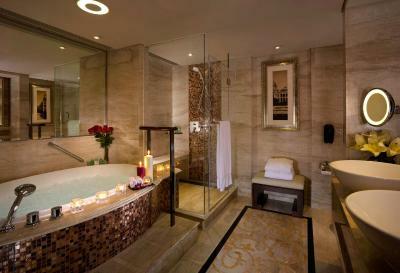 Luxurious bathrooms have a hairdryer. Leisurely afternoons await on sun loungers located by the rooftop outdoor pool. For convenience, friendly staff can attend to business and travel needs. Start the day with a hearty international buffet at Café on M. Award-winning dining highlights include Italian specialties at Theo Mistral by Theo Randall and Cantonese fare at Hoi King Heen. 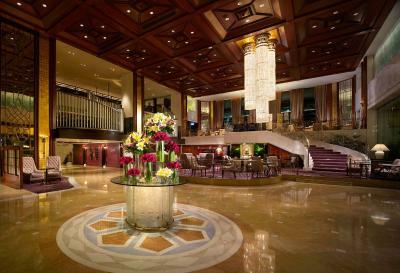 When would you like to stay at InterContinental Grand Stanford Hong Kong? 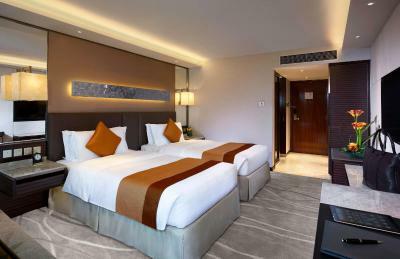 The rooms are equipped with 37-inch LCD televisions, handy smartphones and offer high-speed Broadband internet access. The property suggests guests to dress smart casual at all times. Sports outfits, sleeveless shirts, beach sandals, open-toe shoes are not recommended. 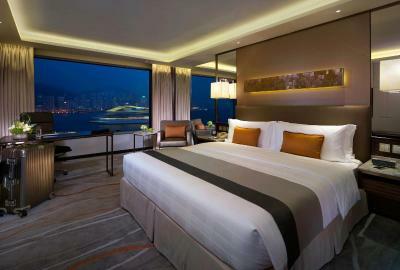 With views over Victoria Harbor the guestrooms offer working space with high-tech enhancements. 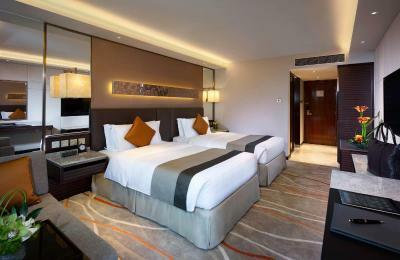 Rooms offer 37-inch LCD televisions, handy smartphones and high-speed wireless broadband internet. Spacious room located on high floors offers a 46-inch flat-screen TV, Bose sound system, Nespresso, Executive Lounge access and a spacious marble bathroom with a pillow menu. 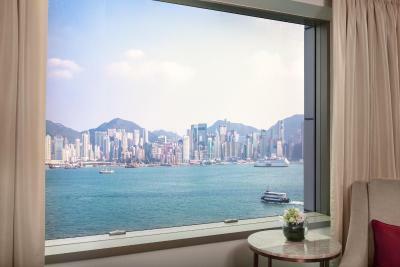 Offering amazing views of Victoria Harbor and Hong Kong skyline, this room comes with a 46-inch flat-screen TV, Bose sound system, Nespresso, Executive Lounge access and a spacious marble bathroom with a pillow menu. 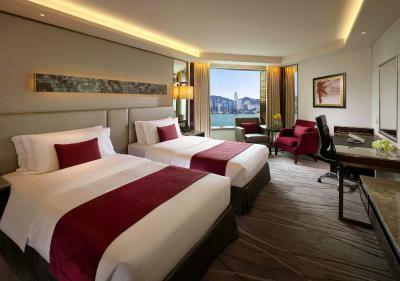 Offering side views of Victoria Harbor, this room has a 46-inch flat-screen TV, Bose sound system, Nespresso, Executive Lounge access and a spacious marble bathroom with a pillow menu. 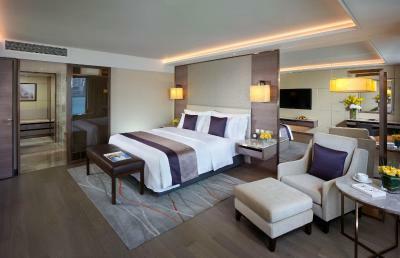 Guest rooms overlook the bustling city and offer working space and high-tech enhancements. 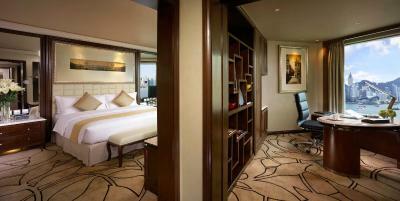 Rooms offer 37-inch LCD televisions, handy smartphone and high-speed wireless broadband internet. 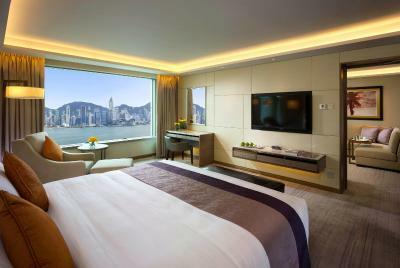 With views over Victoria Harbor and Hong Kong’s skyline, the guestrooms offer working space with high-tech enhancements. Rooms offer 37-inch LCD televisions, coffee machines, handy smartphones and high-speed wireless broadband internet. 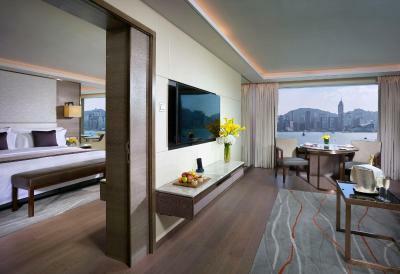 The suites provide views over Victoria Harbor and Hong Kong skyline. The suites offer a living room with window dining and separate bedroom which features a king-size bed, make up facilities and walk in wardrobe. 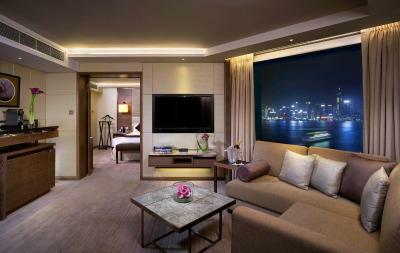 Suites also have LED flat-screen TV, handy smartphones, high-speed wireless broadband internet and coffee machines. 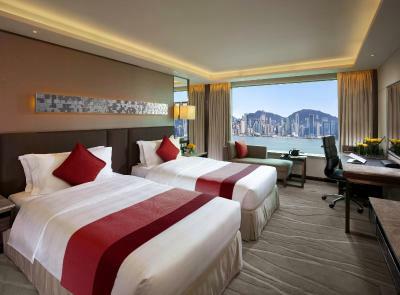 With views over Victoria Harbor the suites offer a lounge area with separate bedroom which features a king-size bed and a working space with high-tech enhancements. Suites offer LED flat-screen TV, handy smartphones, high-speed wireless broadband internet and coffee machines. 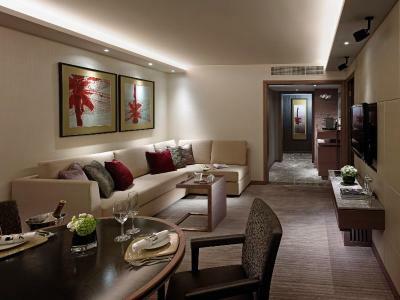 House Rules InterContinental Grand Stanford Hong Kong takes special requests – add in the next step! InterContinental Grand Stanford Hong Kong accepts these cards and reserves the right to temporarily hold an amount prior to arrival. 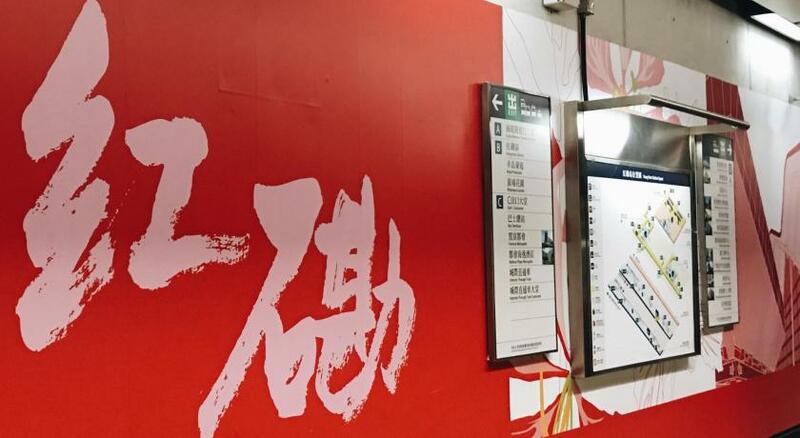 Please note that WeChat Pay and Alipay can be accepted upon arrival. Spacious and comfortable room, great shower and WiFi, good facilities, enjoyable bar. In the booking it said the room would be looking out over the city' Unfortunately this was not the case and we looked out at a brick wall abut 12 feet away. Most disappointing when one considers the room cost. Lovely staff. I mentioned that it was my friend’s first time in Hong Kong and a room with a view of the harbour would be great and we got upgraded! It was very clean, and my friend loved it. Bed was comfy. Club InterContinental was great value for money and service was fantastic. The facilities felt a bit old. The shower drain didn't work very well (quite slow going down). My wife developed a rash all over her body after our stay (but we're not sure what the cause of it is... maybe an allergic reaction to the detergent used at the hotel? I was completely fine). The pool and the gym are very small. Friendly staff and great concierge service!